* Mary Brocke - age 4, female, white, born Nebraska, father of foreign birth, mother of foreign birth. 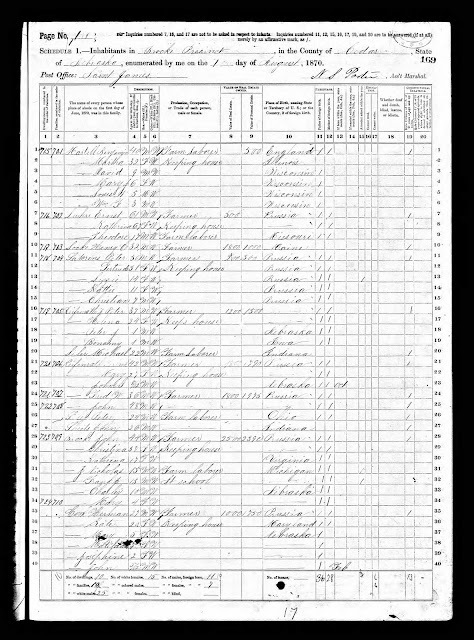 1870 United States Federal Census, Cedar County, Nebraska, population schedule, Brocke Precinct, Page 169A, household #723, family #709, John Brocke household, indexed database and digital image, Ancestry.com (http://www.ancestry.com) citing National Archives Microfilm Publication M593, Roll 828. By 1870, the three oldest children have aged only 5-7 years from the 1860 census. 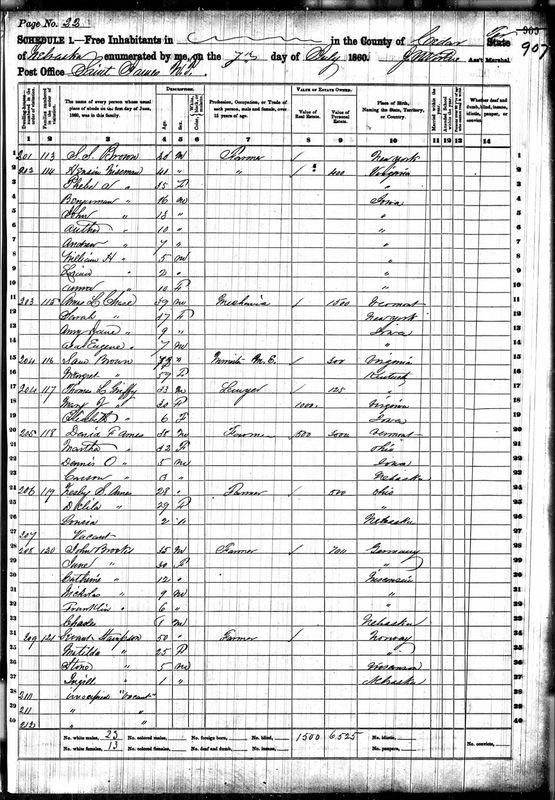 I think their ages in the 1870 census are more correct than the 1860 census, except for Catherine who was probably born in 1851. I think it is likely that Christina was the mother f only Mary, and that the Jane age 30 in 1860 was the mother of the first four children probably died before 1866.